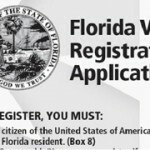 ← Is Florida Barred From Removing Non-Citizens From Voter Rolls? Posted on June 2, 2012 by Thomas D. Shults, Esq. 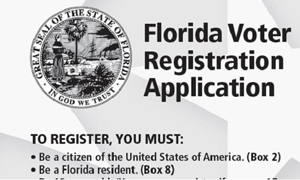 All Florida supervisors of elections have halted efforts to remove non-citizens from voter rolls after the U.S. Department of Justice (DOJ) delivered this letter to the Florida Secretary of State claiming the process violates federal law. The DOJ has given the state until June 6 to respond. This story in the Palm Beach Post describes the recent events and the partisan positioning on the issue. The controversy may soon end up in court, although in this writer’s opinion the odds of the state winning are not good given the clear prohibition in the National Voter Registration Act of any systematic process to remove voters from the rolls within 90 days of a federal primary or general election. Expect hundreds if not thousands of voter challenges being made against alleged non-citizens at the polls in November if the DOJ is correct in its interpretation of the law. READ THIS UPDATE. This entry was posted in Election contests, Florida Voting Issues, News, Voter challanges, Voter fraud, Voter registration and tagged department of justice, florida election attorney, Florida election disputes, Florida election fraud, Florida election law, florida election lawyer, florida election problems, Florida right to vote, Florida vote challenges, florida voter registration law, non-citizens vote florida, Thomas Shults, Tom Shults, voter fraud, voter registration. Bookmark the permalink.